When will be Alaska: The Last Frontier - Homestead Sweethearts next episode air date? Is Alaska: The Last Frontier - Homestead Sweethearts renewed or cancelled? Where to countdown Alaska: The Last Frontier - Homestead Sweethearts air dates? Is Alaska: The Last Frontier - Homestead Sweethearts worth watching? The breathtaking beauty of Alaska sometimes hides the fact its winters can be incredibly harsh, especially for those who live in the state's outlying areas. Alaska: The Last Frontier - Homestead Sweethearts perfectly illustrates this reality, as the program profiles life for the Kilcher family in the isolated community of Homer. For four generations the Kilchers have lived off what their 600-acre homestead has provided, but cultivating that living is never easy. Led by patriarch Atz Kilcher and his brother Otto, the family spends the short summer and fall gardening, hunting and fishing for food, gathering supplies from the land and preparing their animals for the winter. Viewers, who may or may not have a fancy phone by their side while watching on their big-screen high-def TV, also see the Kilchers living off the grid, where running water and electricity aren't daily staples, nor is contact with the outside world. Atz, by the way, is the father of music superstar Jewel, who does not appear on the show. 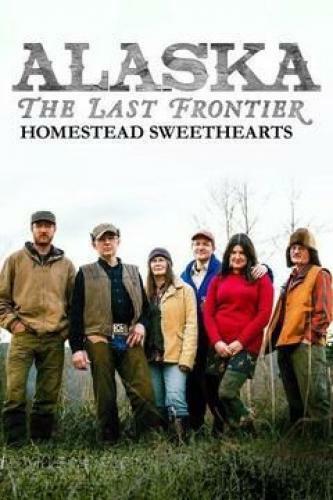 Alaska: The Last Frontier - Homestead Sweethearts next episode air date provides TVMaze for you. EpisoDate.com is your TV show guide to Countdown Alaska: The Last Frontier - Homestead Sweethearts Episode Air Dates and to stay in touch with Alaska: The Last Frontier - Homestead Sweethearts next episode Air Date and your others favorite TV Shows. Add the shows you like to a "Watchlist" and let the site take it from there.